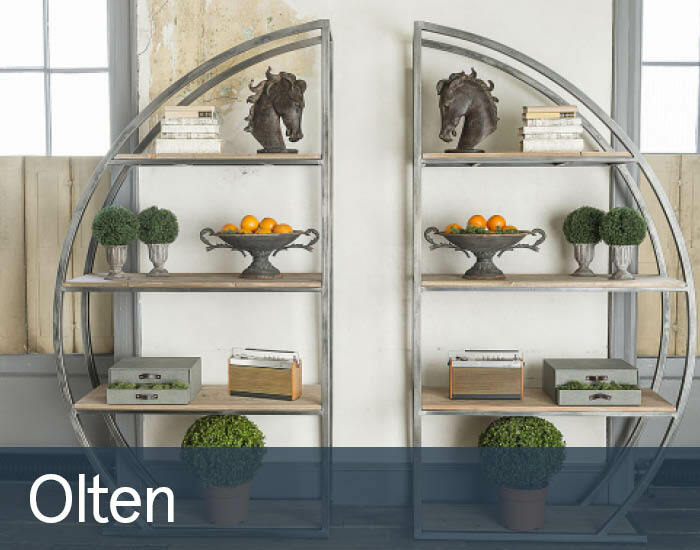 The Olten collection is an eclectic mix of classic pieces with a fashionable contemporary twist, ideal for traditional or modern living spaces. Its expertly crafted from reclaimed solid pine and pine veneers, giving each piece unique character from its natural distressed finish. The range features exquisite design details such as elegantly hand turned pedestals, as well as bronze metal handles on the sideboard for an added vintage vibe. The tables feature a clean plank top design, and the striking, designer bookshelf has a fashionable aged metal frame.